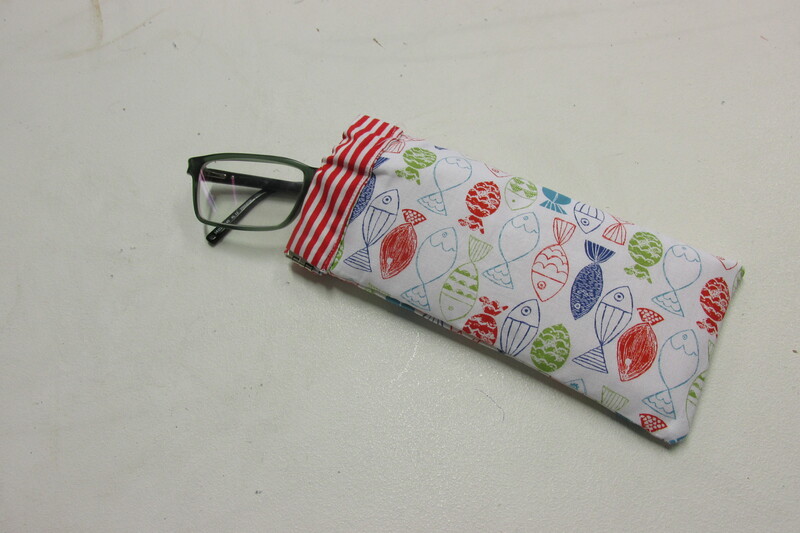 Nautical Fish by British designer Louise Anglicas is an escape to the seaside. 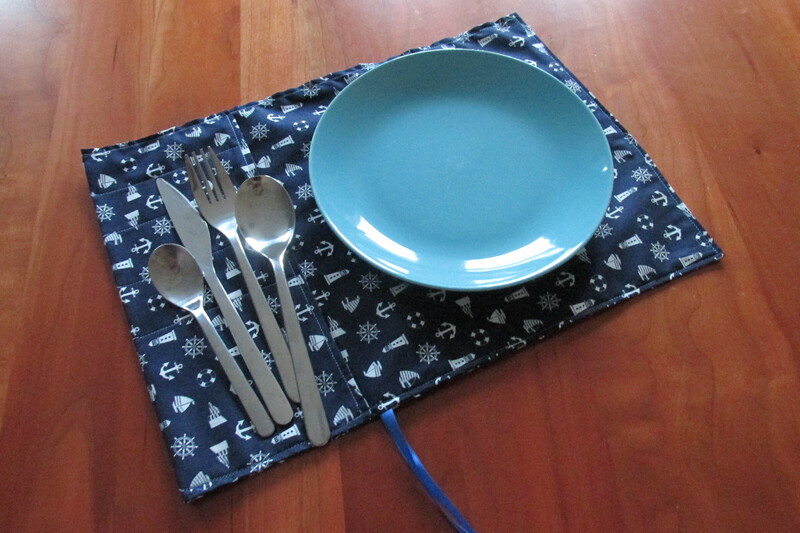 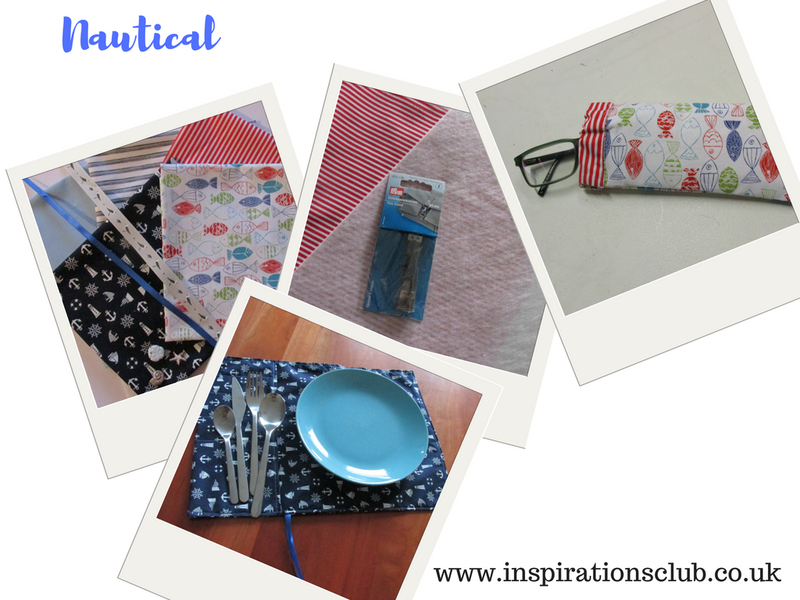 We've teamed it up with some nautical prints from Rose and Hubble to get you ready for summer at the seaside with projects to make a sunglasses case and picnic cutlery wrap. 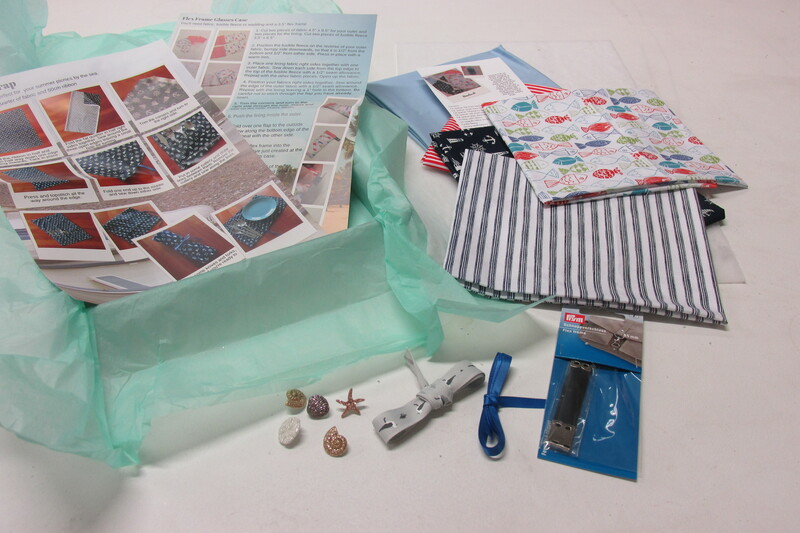 Contents: Fat quarter fish from Nautical Fish by Louise Anglicas for Clothworks Fat quarter stripe from Nautical Fish by Louise Anglicas for Clothworks Fat quarter Nautical by Rose and Hubble Fat quarter red stripe by Rose and Hubble Fat quarter plain dyed blue from Rose and Hubble 1m blue satin ribbon 1m seagulls ribbon by Berisfords Fusible fleece Glittery shell buttons 3.5" Flex frame by Prym Instructions to make a glasses case and picnic cutlery wrap.